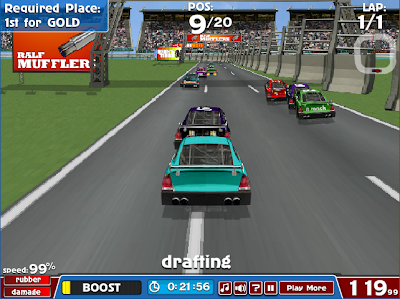 Compete in loads of events in a American Racing. Race up to 60 other cars in this all-contact car game. Loads of extras, loads of tracks, and loads of cars to compete. This game is free to play. Have Fun! Arrow keys or AWSD to drive the car.